If you didn’t already know silent reflux more accurately is called Laryngopharyngeal Reflux or LPR for short. Though it is also known as silent reflux because it’s deemed silent as you don’t have the symptoms of a traditional reflux patient like heartburn for example. Before I get to my recommended treatment advice let me cover the problem with the typical treatment advice you may have already received. If you didn’t already know its common for most physicians and doctors alike to treat silent reflux with anti-acid tablets. One of the most commonly prescribed tablets are called Proton Pump Inhibitors or PPI’s for short. 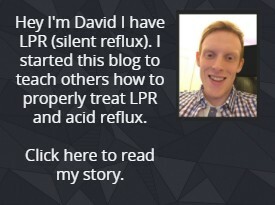 The problem with these tablets and LPR is that they don’t treat the root cause and for the vast majority of people with silent reflux they won’t get any benefit from taking them. These tablets are made to stop the stomach from producing as much acid and therefore any acid that may be refluxed up into your esophagus and throat will be less acidic etc. The problem with this treatment path and silent reflux is that it doesn’t tackle the root cause and as with for a lot of silent reflux sufferers the main problem is with the Lower Esophagael Sphincter(LES for short) which is the valve above the stomach (as can be seen in the diagram). The problem is that this valve isn’t closing properly (relaxing too much) and then the acid can reflux up and cause silent reflux symptoms. Of course, that isn’t the only potential cause of LPR there are others which you can read more about in my complete LPR guide here. The reason most doctors and physicians alike treat LPR with PPI’s is because simply put they don’t know any better. Most of them even the ones who specialize in the gastro area aren’t knowledgeable and trained to know how to properly address the silent reflux problem. Most of them treat it as if it where GERD (Gastroesophageal reflux disease) and this treatment of taking PPI’s simply won’t work for the majority of patients. 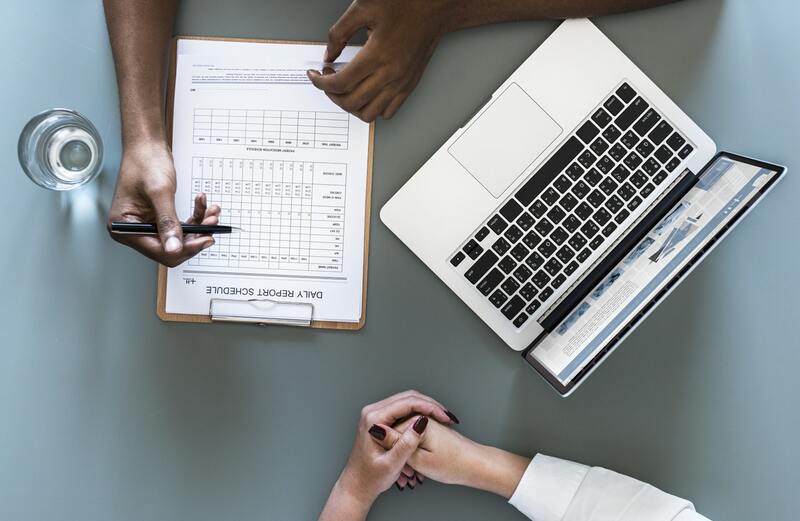 To back up these statements there has been research done to test PPI’s effectiveness against treating LPR, the results showed that taking the PPI’s had no positive effect on treating silent reflux symptoms. You can read the study here. Funnily enough PPI’s can have a reverse effect on reflux and in some situations can actually give you more reflux symptoms than not taking them. The reason for this is because when you take them your stomach acidity is lower which makes it somewhat more difficult for the stomach to break down the food. Because of this lower acidic level in the stomach this means the stomach takes longer to digest food and this can mean more exposure to reflux symptoms from the longer digestion process. PPI’s come with a host of issues another being vitamins/minerals absorption problems in certain vitamins and minerals like vitamin b12, vitamin c, iron, calcium etc. You can read more about it in this study. If you are currently taking PPI’s with little or no benefit I would suggest stopping them. But please don’t stop them all at once. What I mean by this is you must taper of them slowly over a period of 4-6 weeks. This is because of something called a rebound effect. If you are taking PPI’s and you immediately stop them without tapering off them you will likely get massive reflux effects. I personally know that having had the misfortune of it myself – it will make your reflux symptoms much worse. This is because of the rebound effect. In fact, there was a study done in healthy people with no reflux or LPR issues and when they took PPI’s for some time and then after stopping them even they got reflux symptoms themselves! This show that PPI’s aren’t a good treatment choice at all. You can check out the study here. Finally, as I suggested if you are currently taking PPI’s and want to stop them – taper of them slowly over a period of 4-6 weeks. Slowly lowering your dose in small increments (if you can’t get smaller dosage of your tablets just split them yourself if needed). One of the most common things I get questioned about it “how to treat silent reflux” – well there are a host of things that can help with treating silent reflux but there are 2 things that are the most effective of the bunch. One is taking Gaviscon advance (UK version) and the other is following a diet that I will discuss more below. I often get the questions “what can I take for silent reflux” or “what is a good silent reflux medication”, well the easy answer is Gaviscon Advance. The reason you want Gaviscon Advance – the UK version is because of a certain ingredient called (sodium) alginate. This alginate is an extract from seaweed. How it works is when taking after eating, it forms an almost foam like substance on the top of the stomach contents. This foam basically acts as a barrier and will prevent a lot of reflux and more importantly pepsin (digestive enzyme that comes from the stomach) from coming up into the throat. You can read more about pepsin in my complete LPR guide here. Taking the Gaviscon also has the effect of grabbing some of the pepsin in the throat and binding to it and washing it down into the stomach where it belongs. There have also been studies done like this study that shows the UK version of Gaviscon advance is effective against LPR with significant improvement in symptoms for people who took it. This proves that Gaviscon Advance(UK version) is an effective choice for treating silent reflux symptoms. If you are based in the US, it is quite easy to get the UK version. You can actually order it here on Amazon. The second part of treating silent reflux is diet and is the best long term silent reflux treatment and the closest thing to a silent reflux cure. The diet is based on avoiding foods that are high in acidity and foods that make the LES(the valve above the stomach) weaker. Avoiding foods and drinks with a pH of 5(acidity level) or less should also be followed. The reason for avoiding foods with an acidity of 5 pH or less is because of the digestive enzyme that refluxes up with the stomach acid into your throat called pepsin. Pepsin is made to be in the stomach and becomes more active when in contact with a pH of 5 or less. The problem with pepsin is that it is used to digest proteins in the stomach, so this effect then can apply to the throat. Which is what usually is bringing on the symptoms. From early research we can see the pepsin may lay dormant in the throat for 1-2 days so then if you where to eat or consume something in that has the acidity of a pH of 5 or less it becomes more active and will give you your symptoms. For all the information check out #3 in my LPR guide. For getting started with a diet check out my LPR diet article. For a complete LPR diet check out my Wipeout Diet Plan with is created for people with silent reflux(LPR). I would advise taking the Gaviscon advance (UK version) and following my diet advice to start. While the Gaviscon doesn’t tackle the root cause of the problem the diet will. So, while the Gaviscon helps symptoms and aids healing the diet will target the root cause of the problem giving you the best possible chance for healing and recovery. Good luck! Previous articleKoufman Diet / Dropping Acid Diet Book – How Effective Is It? Next articleGERD vs LPR – What is the Difference Between Them?